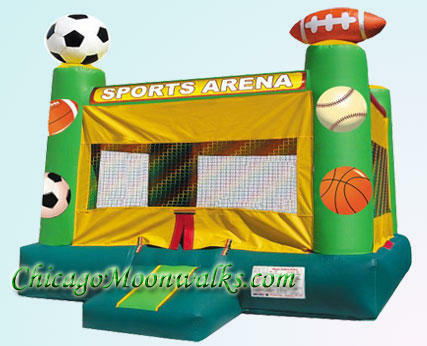 Sports Arena Jumper 13'x 13'. Great for sports themed events! Features inflated soccer ball, football, baseball and basketball. Please note area required for setup is 18'x18'. Height requirement is 16'. 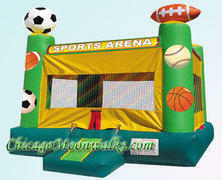 View our entire selection of Sports Inflatable Jumpers, Combos, Waterslides, Obstacles, and Games. Actual Size: 13'L x 13'W x 15'H.